Madras is back and even more colorful. 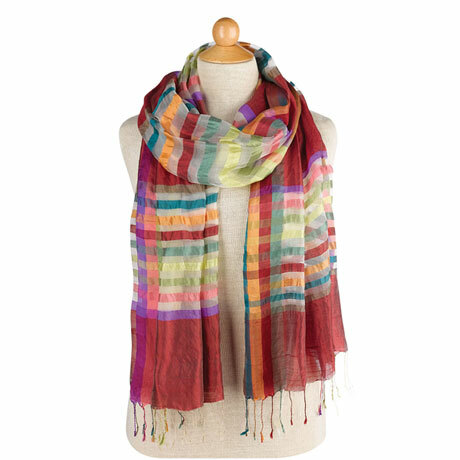 Ruby, purple, teal, emerald, and lemon stripes meet and merge in the prettiest plaid ever. 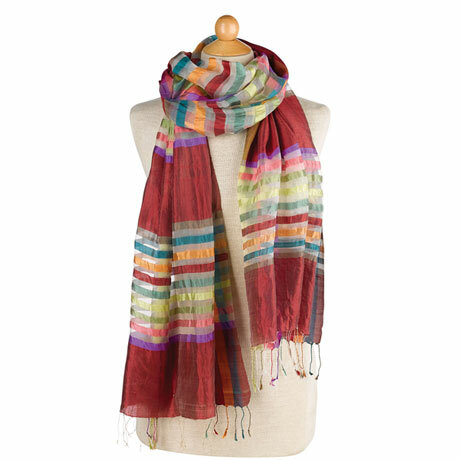 100% silk scarf has hand-knotted fringe at both ends. 24" x 78". Dryclean. Imported.